Home » Must Reads » Should You Refinance Your Student Loan? Financial services company SoFi is in hot water for falsely advertising how much its customers can save if they refinance their student loans. The company agreed to alter its messaging after a recent settlement with the Federal Trade Commission. If you’re anything like me when I was starting my college journey, then the concept of refinancing a student loan may sound foreign. Essentially, this is the act of combining separate debts that can then be paid at a lower interest. Refinancing can also allow for smaller monthly payments and new terms of agreement. SoFi’s advertisements led consumers to be believe they could save more than $20,000 on average by refinancing. The FTC found such ads to be misrepresentative as the statistic didn’t include student loan borrowers whose refinancing plan resulted in a longer, more expensive repayment timeline. Around 44 million Americans are tasked with paying back their student loans, which collectively amounts to an astounding $1.5 trillion! 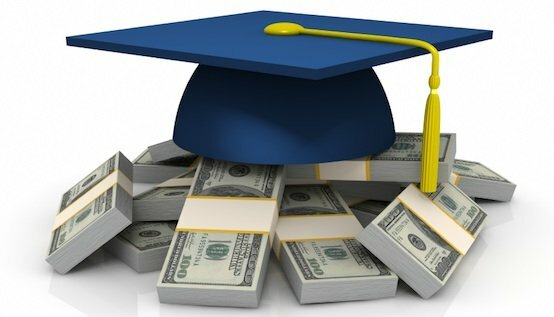 According to a study conducted by the National Postsecondary Student Aid Study, students receiving bachelor’s degree from 2015-16 owe on average of $30,301. With statistics like these, it makes sense that many graduates end up turning to companies like SoFi to refinance their loans. What many people don’t know, however, is that refinancing is only beneficial under certain circumstances. Continue reading to see if refinancing is the best option for you. The great thing about a federal student loan is that it comes with a variety of consumer protections and opportunities. However, refinancing a federal government loan with a service like SoFi turns it into a private loan, meaning you’ll lose all these associated protections and more. For example, borrowers with a federal government loan can take advantage of income-driven repayment plans with lower monthly payments. Plans like these make it easier to pay from month to month. Revised Pay As You Earn (REPAYE) plan, Income-Contingent Repayment (ICR) and Income-Based Repayment (IBR) are just a few examples of such programs. Those who refinance to a private loan will also lose rights like forbearance and deference. Those who qualify for forbearance have the ability stop making loan payments for a certain period of time (note: the interest will continue to accrue). Deferment, on the other hand, allows you to pay the loan’s principal and interest at a later date under certain circumstances (seeking employment, serving in the Peace Corps, suffering economic hardship, for example). The government provides benefits for workers with federal student loans in certain areas of employment, too. For example, teachers may qualify for student loan forgiveness if they serve long enough in a low-income school or educational service agency. Active-duty service members and social workers may also qualify for similar loan forgiveness benefits. Refinancing a loan essentially creates an entirely brand new loan, meaning you’ll also have new terms of agreement. One of the biggest things to look out for in your new agreement is whether it offers a fixed or variable interest rate. Federal student loans for the most part operate on a fixed rate loan. With a fixed rate loan, you aren’t at risk of seeing your interest rate and monthly payment going up. Refinancing your loan may mean you’ll switch over to a variable rate, which could raise your interest over time and subsequently cost you more money in the long run. Keep in mind that you’ll need to qualify to refinance a student loan. One of the big things refinancers look for in a candidate is a great credit score. This may be difficult considering you’re in debt, though even people with the worst credit score can make up for it by having a co-signer. Ironically enough, refinancing a student loan works best for those who are financially stable. As previously mentioned, refinancing a federal loan into a private loan means you’ll lose certain benefits that make it easier to pay down loans. Someone who is a recent graduate with a low-paying job and high expenses will likely want to take advantage of these programs, and therefore should avoid refinancing for the time being. But don’t take our word for it. As you shop around for refinancing options, consider how your monthly bills would change under a new agreement. Make sure to also consider what you’d be paying in the long run on interest. Mark Kantrowitz, publisher of SavingforCollege.com, said it only makes sense to refinance if the new interest rate is lower. And finally, we strongly encourage you to use this student loan refinancing and consolidation calculator to get a better idea of your long term repayment plan. Don’t forget to shop around and consider all your options, too.